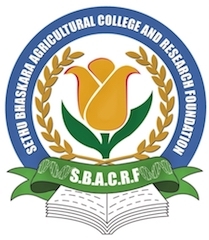 The College believes that our students can contribute to agriculture better if they are more and more knowledgeable. This will give our students an edge over others both in their employment and in a research career. Hence the college arranges for in-house additional certificate courses of contemporary technologies as 3 months, evening, after the college hours programmes. As the students will pick up the necessary basics in agriculture, during the first two years, by the time they come to the 3rd year, they have the option to join any of the following courses, if they wish. Fee chargeable: To cover the actual course cost of both the theory, practicals, fieldwork and a final project work. Options: During the 3rd and 4th year a student can do a maximum of four special certificate programmes based on their likes and career plan. Support: The college will deliver these programmes independent of their regular academic programmes. The students will be given necessary course materials and hand-outs along with systematic training and evaluation. The students can join any of the following specialized certificate programmes in any sequence they want to be based upon their career plans. At the end of the course, every student will be awarded a certificate of proficiency indicating specialized programme for they have undergone the training. These special certificates are the extra certificates the students will be getting during the B.Sc Agriculture degree programme and hence their employment, higher studies and research opportunities more than other students.